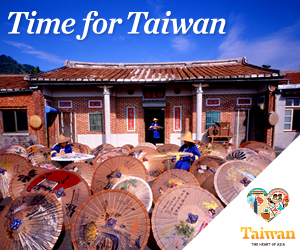 Taiwan’s capital is a fantastic collision of traditions—a colourful city informed by aboriginal, Chinese, Japanese and Western thought.This celebration of medley is evident everywhere, from the city’s buildings and green spaces to its markets and food. In Taipei, ancient spiritual practices share the streets with sparkling modern architecture. There’s room for all of it here, and all of it seems to fit. Like most visits to Taiwan, ours began in Taipei. We arrived at sunrise, and immediately headed for the magnificent Longshan Temple. Built in 1738, Longshan is part Buddhist and part Taoist, and dedicated to Guanyin, Goddess of Mercy. When we visited, people were just starting to gather and pray, many in suits and ties on their way to the office. The rhythmic chanting and clouds of dancing incense quickly mesmerized us, and we wandered through the open-air courtyard, marvelling at the bright colours of the shrines. After observing these very old, enduring practices, we headed off to explore some of Taiwan’s more contemporary sites. Taipei 101 is a dazzling skyscraper designed to resemble a stalk of bamboo. It is among the tallest towers in the world and has attracted attention for its ecofriendly construction. Beneath the tower, we feasted on the city’s best Chinese dumplings at Din Tai Fung, a restaurant that allows you to watch dumpling magicians in white aprons and surgical masks tenderly making each individual tasty treasure by hand. Sated to perfection, we set out on a sunset hike up Elephant Mountain, just on the outskirts of the city; climbing a steep staircase essentially through the woods, we were rewarded with stunning views of a glittering night-time cityscape. Many of Taipei’s landmarks help to explain the story and struggle of Taiwanese identity. The next morning, we stood on the steps of the imposing Chiang Kai-shek Memorial Hall, dedicated to the political and military leader of the Chinese Nationalist Party. We joined a sizable crowd to witness two young soldiers perform a solemn changing-of-the-guard ceremony. Not far away, 2-28 Peace Memorial Park offers another sobering reminder of the island’s complicated history. The park commemorates the deadly uprising of 1947, where widespread protests against Chiang Kai-shek’s government saw tens of thousands of Taiwanese killed. Sometimes, stories are best told in quieter, unexpected ways. We found much of Taiwan’s unique culture and history beautifully preserved in one tiny room at the Formosa Vintage Museum Café, an unassuming upstairs apartment that houses a private collection of historical artifacts belonging to a local dentist. The walls are adorned with huge, colourful, hand-painted tea advertisements from the Japanese era, ornate wooden carvings salvaged from temples, anti-communist propaganda aimed at kids, and all kinds of aboriginal art depicting daily life for some of the 14 tribes of Taiwan. An enthusiastic woman ushered us in and handed us little glass cups of cold tea as we walked through this quirky room of curiosities. Taipei is a fantastic city to just wander, and with no particular destination in mind, we’d often happen upon little alleyways of activity—a fortune teller squatting over a deck of Chinese cards, or a masterful carver putting the finishing touches on Buddha’s famous laughing mouth. We hopped on U-Bikes courtesy of the city’s extensive bike-share program, rode through markets and along the Damshui River, and stopped for some mango shaved ice. Taipei is chock-full of obviously beautiful and important places—but you’re equally enthralled and entertained just picking a direction on wheels or on foot, and seeing where the day takes you.